What are the daily tours like? The pace will be relaxed. There will be plenty of stops where you can meet the locals, taste our legendary icewines, and chat with your guide as he or she entertains you with tales of our beloved Niagara. Our guide staff includes teachers, published travel writers and other professionals who are both knowledgeable and have years of experience leading cycling groups. Are you close to a bike path? Yes! Our store is located next to Mary St. There is a bike path on Mary St. that leads you to the Parkway trail. What is the distance between Niagara-on-the-Lake and Niagara Falls? 25 km on the bike path, called the Niagara River Garden Trail. It takes you from our Niagara-on-the-Lake main store all the way to the Falls. If you ride FAST you can get there in 1 hour. At a reasonable pace though with stops you can spend a whole day! Can I do one of your tours if I have my own bike? Yes. You are welcome to bring your own bike for a tour, just let us know and we will take $10 off the price of your tour. How far do we ride on the tours? All the distances are noted on our Tours page but our 5 hour tour averages 20 kms and our 3.5 hours tours are about 15 kms. What if I don't ride a bike very often? That's ok. We have people use our bikes who haven’t ridden in over 20 years. The beauty of Niagara-on-the-Lake is that it is FLAT! We will help you get comfortable on your bike when you arrive and you can test drive it around our store parking area. All of our tours are conducted at a leisurely pace that everyone can keep up with. We visit a variety of wineries. In all our tours we try to incorporate a large commercial winery, a mid size winery, and a small family operated vineyard. We cannot promise a specific one due to availability but we will try our best to accommodate all requests and if you have already been to a certain winery we will try not to go to that one so you can have a new experience. Some of the most visited wineries enroute are: Reif Winery, Peller Estates, Lailey Vineyards, Frogpond Farm, Inniskillin, Marynissen, Pondview Estate Winery, Caroline Cellars, Rancourt Winery, Pillitteri Estates, Jackson Triggs. What is lunch like on the Picnic tour? We visit a local family owned fruit market. You will enjoy a fresh sandwich, beverage, piece of fruit, and a baked item or ice cream. What should I wear on a tour? We recommend comfortable shorts, yoga pant or spandex, a t-shirt or jersey and running shoes. Sandals with straps to keep them on your feet work too. A hat and sunscreen is also a good idea. Flip-flops and mini skirts not recommended, although entertaining to watch! We ride rain or shine so if you think you might get wet then bring along a shell jacket or other rain gear. We sell rain ponchos at the store for just such an event! 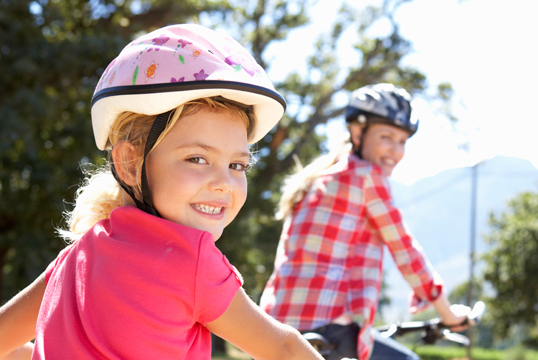 Do you rent children's bikes? Yes we have 20 inch and 24 inch wheels on our children’s bikes. We also offer tag along bikes (where the child is attached to the parent bike but can still pedal) and also have baby trailers for children up to 70 lbs. (no pedaling on this one). Will I have to pay anything extra on the tour? Our tours are all inclusive in that we pay for your wine tastings, water, food and snacks and your bikes and guide are also included. However if you decide to taste Icewine and it is not part of the regular tour then there will be an additional charge. Can you deliver a bike to me at my hotel/B&B? Yes! We do it all the time. Our delivery service runs daily. 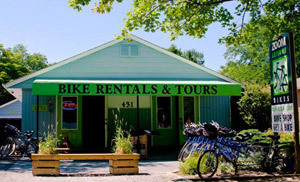 Just call or make a reservation on our reservation page and we will bring your bike to you. What kind of bike should I pick? There is no wrong bike, just different “feels”. If you’re not sure what will work for you then we recommend coming to the store and trying a few out! If you are reserving online and are not sure what kind to indicate just make a note in the notes section that you’re not sure and we will help you figure it out when you arrive. CAN I GET BIKES IN DIFFERENT LOCATIONS? Yes! Our sister company Zoom Bikeshare offers many locations around the area. This automated rental is enabled by downloading our app, Movatic, and remotely unlocking bikes from the bike racks. BikeShare bikes can be returned to any Zoom approved location. Map and details can be found on the website. These bikes are a one size fits all. If you would like to select your bike and have our staff fit you accordingly we can deliver to you. See you soon! Did we answer your Questions? If you need further assistance please contact us and we would be happy to help!